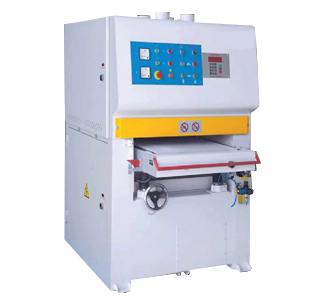 Sheng Yu Machinery Co., Ltd. as a professional standard wood belt sander manufacturer and supplier, all of our wood sanding machines come with high quality, excellent performance and competitive price. If you would like to learn more the details, please browse the following categories and feel free to inquire. Handle sanding jobs easily and economically. Sanding belt quick Change Device : The sanding belt can be changed quickly for time saving and convenience. Conveyor Belt Tracking Control : The conveyor belt tracking is pneumatically controlled to effectively prevent out-of-track. Variable Speed Unit : The conveyor belt speed is controlled by a variable speed unit. Feed speed can be varied as desired to suit all types of workpiece material, assuring superior sanding quality.